Difference between highest and lowest-cost trading platforms over 30 years exceeds the average UK salary. The financial services sector loves to talk about the power of compounding on investment returns over the long-term, but tends to skip over the impact that compounding of charges can have as time marches on. Research by Boring Money on behalf of interactive investor found that over the long-term (30 years), platform charges are costing many Britons tens of thousands of pounds. On the average stocks and shares ISA balance (£51,306, according to HMRC), the impact of charges over 30 years means that customers of the lowest-cost platforms would be £33,000 better off compared to the highest-cost platforms. Pay for a year in residential care home (£32,344 per year on average in the UK, according to Paying for Care). Boring Money looked at a range of scenarios (see tables and methodology in notes at end of the article). 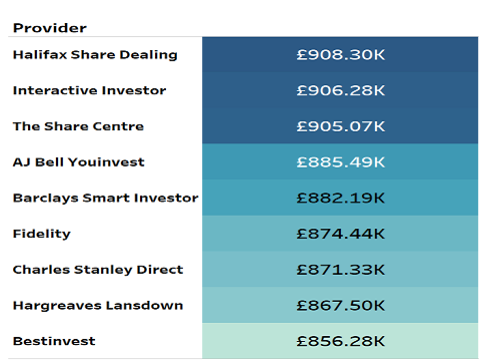 It found that interactive investor and Halifax Share Dealing consistently provide the best outcome for investors with larger pots (over £50,000). 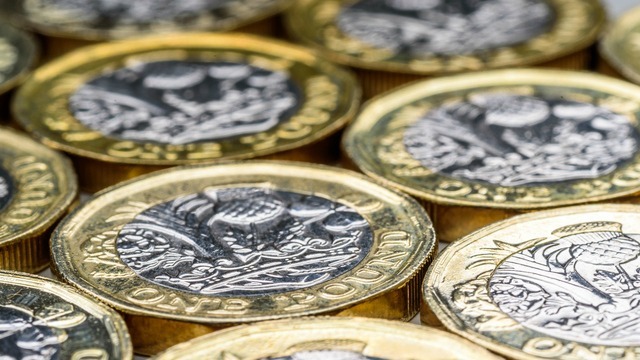 Richard Wilson, Chief Executive, interactive investor says: "The platform industry has a dogged obsession with percentage fees, and this research lifts the lid on why. Essentially, the more money a customer has in their pot, the more they will tend to pay in charges. "Our flat-fee structure has always challenged the industry norm. We know that bigger pots do not bring a higher workload or increased costs for platforms and suggesting otherwise is a nonsense. That’s not to say we don’t have work to do. Our flat-fee will naturally be more cost-effective for customers with bigger pots of £50,000 or more, and one of our current aims is to see how we can also be more competitive for investors with smaller pots. "Ultimately, a flat fee means that consumers know exactly what they are paying in platform fees. Obscure platform charges serve only to reinforce the feeling that somewhere in the chain we are being ripped off." Holly MacKay, CEO, Boring Money, says: "Competition in the DIY investing market is not working as well as it should. I've been working with investment platforms for 20 years now and I struggle to work out what I would pay on many platforms who have complex structures with multiple parts. Trying to compare like with like is unacceptably complex. "It's also true that most cost comparisons only look at a single year period. If we look at the impact of charges over a much longer timeframe we can see that the decision of where to invest can make a significant impact on the end value of someone's life savings. "Good service costs money to provide and different people have different requirements and price points. But customers cannot make a meaningful assessment of value without first understanding the total costs involved and the impact this has over the lifetime of the investment. We need to do much more to help investors truly understand the cost of the services we are providing." Boring Money factored in 5% annual growth after charges and assumed a 50/50 split between funds and shares. Costs were calculated over a 30-year period. For the average stocks and shares ISA, which is £51,306, according to HMRC, a customer would have an extra £33k in their ISA after 30 years if they were with the most cost-effective platforms versus the most expensive platforms. That's enough to cover the average deposit on a first property, according to research from Halifax. It is also more than the average UK salary of just under £30,000, would fund the average UK wedding and pay for one of the best SUV cars on the market. 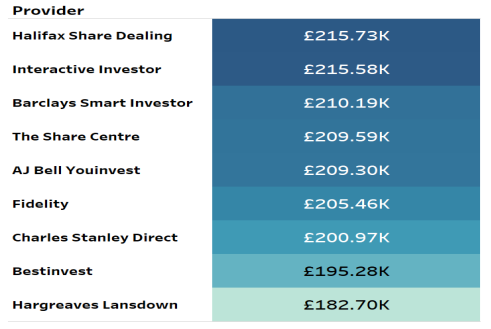 Boring Money assumed a balance of £51,306, no additional contributions, and six trades a year for rebalancing purposes, which represents the average number of trades per year for stocks and shares ISA customers of interactive investor. Boring Money then took their research a step further. They looked at the average stocks and shares ISA (£51,306) and then added in an annual contribution of £10,124 over 30 years, this being the average Stocks and Shares ISA subscription in the 2017/18 tax year, according to HMRC. They assumed one-twelfth of this lump sum would be invested monthly into one fund and one share (24 trades per year). In this instance, the impact of charges over 30 years was greater still. A customer in the lowest cost platforms would have £52,000 more in their ISA at the end of this period. This would cover the average student debt - £50,000, according to the Institute for Fiscal Studies. Stocks and Shares ISA with an initial balance of £51,306, which corresponds to the average Stocks and Shares ISA market value according to HMRC. Six trades per year for rebalancing, which represents the average number of trades per year for Stocks and Shares ISA customers of interactive investor. Annual contributions of £10,124, which corresponds to the average Stocks and Shares ISA subscription in the tax year 2017-18 according to HMRC. The annual contribution is applied monthly, assuming the investor regular invests into one fund and one share. Therefore, giving a total of 24 trades per year. Where yearly/quarterly maximum fees existed, i.e. for holding shares – if the charge per year/quarter exceeded the yearly/quarterly maximum fee, then the maximum fee was spread out across the year and applied monthly.